Co. Cork: Caherbanagh, Coomlogane, Crinaloo, Cullen, Derragh, Donnalseen, Drishane, Keale, Kilcorney, Knocknagree, Rathcool, Skagh. The Guardians met each week on Thursday at 11.30am. 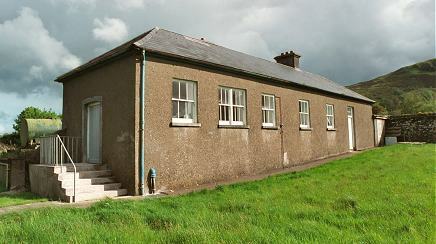 The new Millstreet Union workhouse was erected in 1852-3 on a six-acre site half a mile to the west of Millstreet. Designed by the Poor Law Commissioners' architect George Wilkinson, the building accommodated 600 inmates. Its construction cost £5,950 plus £1,215 for fittings etc. The site location and layout are shown on the 1905 OS map below. The layout was somewhat different to Wilkinson's earlier designs, and was a similar size and design to the workhouses at Urlingford and Mitchelstown which were built at around the same time. The front of the site at the north would probably have had an entrance archway, flanked by two two-storey blocks which contained school rooms and accommodation for boys and girls. To the rear, the main buildings had a T-shaped layout. The central wing running north-south probably contained the dining-hall and kitchens. To each side were accommodation wings for men and one for women. A fever hospital and small mortuary lay to the south. A separate infirmary and chapel stood at the south-east of the site. A surviving single-storey structure may be part of this building. On 3 June 1921, the workhouse, which had until recently been occupied by the Auxiliary Division of the Royal Irish Constabulary, was destroyed by fire. An armed party of Republicans took possession of the premises at about 10.30pm, and transferred all the occupants to the infirmary block. The other buildings were then doused with petrol and set alight. 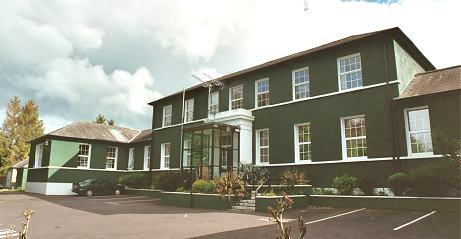 The former workhouse site is now the home of the Millstreet Community Hospital.